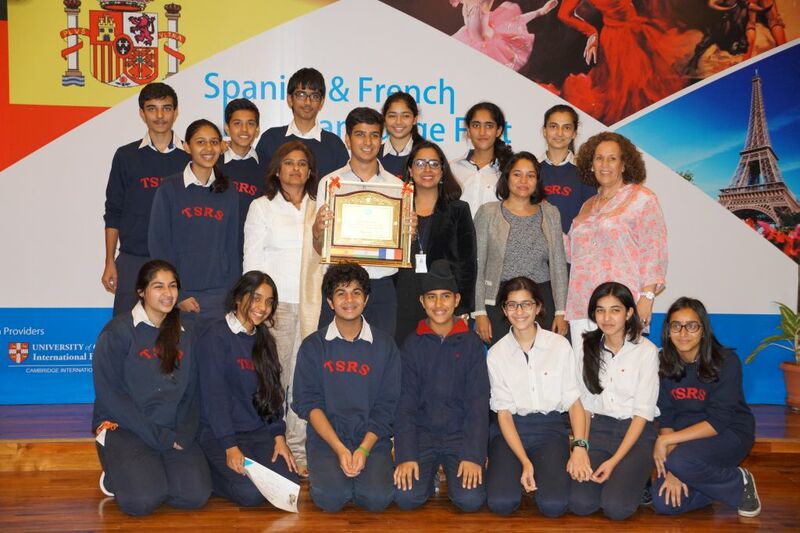 The Spanish and French students of TSRS Moulsari bagged the winners trophy in the Inter-school Spanish and French Extravaganza- ‘Romance’ held at International School Aamby (ISA) on 16th and 17th Jan 2016. 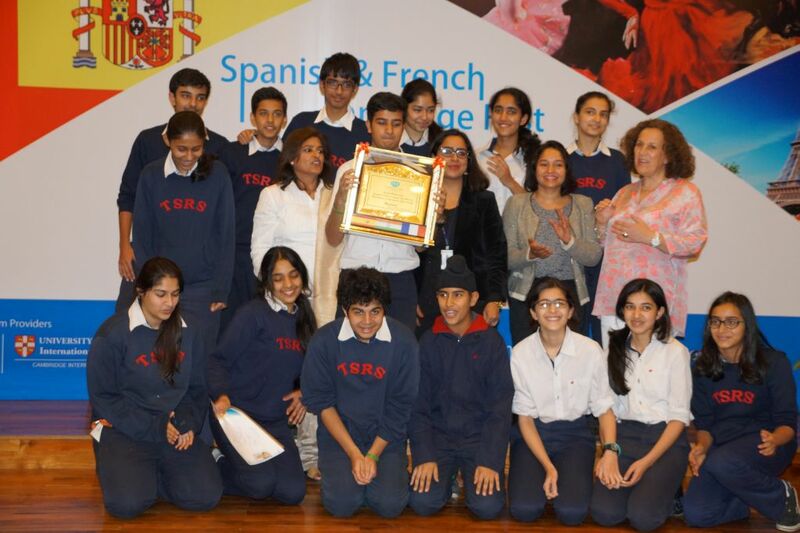 In this multicultural festival our students showcased not only their enhanced language skills but also cultural knowledge of the various Spanish and French speaking countries. Along with taking part in the competition with zeal and vigour, the students also sang and danced and immersed themselves in the festivities of the extravaganza. They were exposed to the cultural and lingual brilliance of France and Spain and held up the school’s value of pursuing excellence as they bagged prizes in almost every event. Romance was an exciting experience, one of its kind,that I have never seen before. It was an interesting proposition and very well executed with a wide variety of events that challenged the participants. I really enjoyed the competition, as a foreign language competition is not something I’d ever thought I’d be participating. It was an honour to participate and I’d love to go back next year. time has ﬂown in a jiffy! in this well-organised ‘Romance’ fest! I really enjoyed my time at ISA. It was my first experience representing school for French. The school is located in the beautiful city of Aamby. The competitions I took part in were Quizzomania and Tongue Twisters. It was amazing.